People might have stumbled upon issue of mails not getting synchronized in SharePoint 2013 and might be wondering why is it so and how do we fix it? Here, I'll walkthrough in detail in order to fix the issue. Cause: this issue is raised because User Profile Service application is trying to sync Work Email with AD attribute "proxyAddresses" instead of "mail" attribute. First of all, make sure User Profile Service and User Profile Synchronization Service are started. Manage Service Applications --> User Profile Service Application. Click on the "Manage User Properties" under People section. 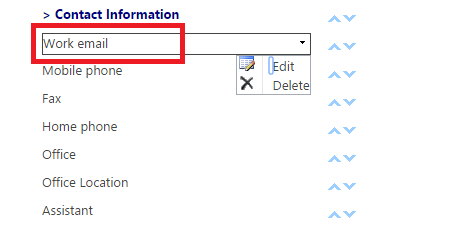 In Manage User Properties page, navigate to "Work email" property under Contact Information section. Click on Edit. In Edit User Profile Property page, Navigate to Property Mapping for Synchronization section, and remove proxyAddresses mapping. Now, Go to Add New Mapping section, and select "mail" from Attribute drop down and click on Add. You can see "mail" attribute in Property Mapping for Synchronization section. In Edit User Profile Property page, click on OK to apply changes. Start Full Synchronization and wait for Profile Synchronization Status to get "Idle". Now, you can search for any profile on Manage User Profiles page, you will see mail addresses will be filled in for users.